Wonder Woman was created by the American psychologist William Moulton Marston and artist Harry G. (H.G.) Peter. She first appeared in All Star Comics #8, released in 1941. Comic book legend has it that Diana, Princess of Themyscira (aka Wonder Woman), was sculpted from clay by her mother Queen Hippolyta and given life by Aphrodite, along with superhuman powers as gifts by the Greek Gods. Marston drew a great deal of inspiration from early feminists including birth control activist Margaret Sanger, the aunt of Olive Byrne, who lived with Marston and his wife Elizabeth. Marston combined his, Elizabeth’s and Olive’s feminist ideals to create a superhero character that young girls and boys could look up to. 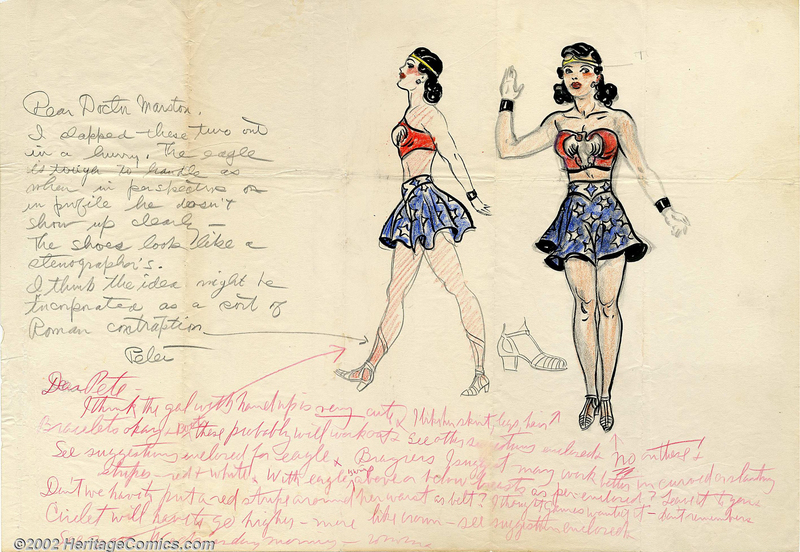 He designed Wonder Woman as a model of that era’s unconventional, liberated woman to appear in a comic book world that, at the time, was dominated by superpower male characters such as the Green Lantern, Superman (its flagship character), and Batman. This may be my first favorite Brunette.